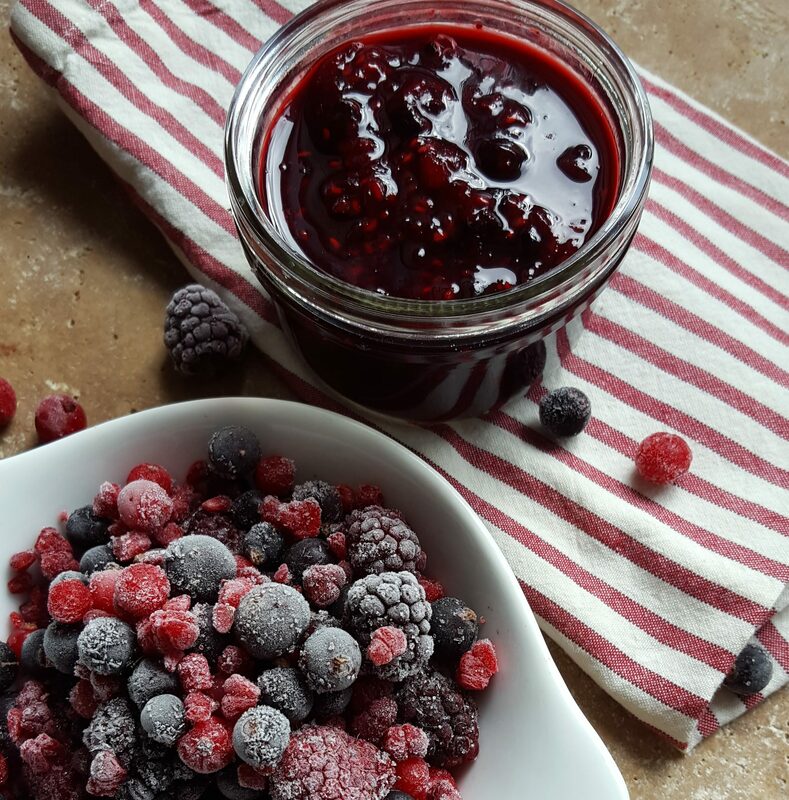 This is really a very simple post and recipe but compote remains a staple in our house for various things like making ice pops to making breakfast. I don’t make a huge quantity of this as I am the only one that really uses it and I’d prefer to make it a couple of times a week than find half a jar of gone off compote. And because it is so simple, even with a newborn baby, this is achievable. 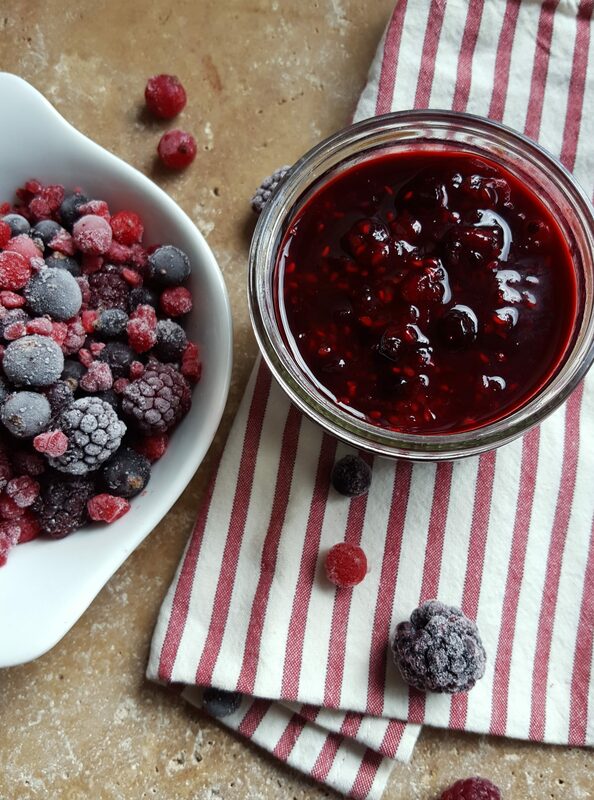 Takes just a few minutes and a few ingredients and hey presto, you have compote. A bit like jam, you throw together some ingredients but rather than letting it bubble away, just give it a few minutes on the hob and you have a chunky berry compote. As always, I use frozen berries for this. It is much cheaper and handier as a packet of frozen berries makes lots of jars of compote but also keeps forever. And if sometimes you aren’t as organised as would like and forget that you have nothing for breakfast, then you can in minutes whip this up and have it for the morning. 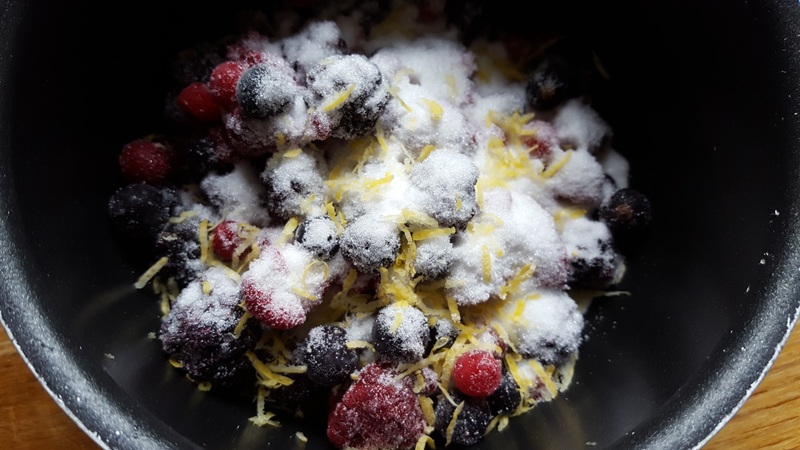 Put the berries, sugar and lemon in a saucepan and over a gentle heat allow to defrost and heat up. Simmer for 2-3 minutes. I use a potato masher to just gently break up the berries but not totally mash them. Then turn off the heat and allow to cool. My mornings are about to get better with this! gorgeous with vanilla yogurt and a few toasted nuts! Your recipe could not be simpler or tastier! Thanks for making this so easy. Thank you, Gotta love a good and simple recipe!